Parliament will be recalled today to discuss the logistics of sending troops into Syria. With most of our soldiers in Afghanistan, in hospital or in the dole queue, MPs will discus the viability of sending in Air Cadets and Scouts. Reluctantly, Ed Miliband has said his party will back the deployment of child soldiers, but only after UN weapons inspectors have confirmed their catapults are suitable for those aged 5 and over. In church halls around the country, last minute training is taken place in preparation for the deployment. 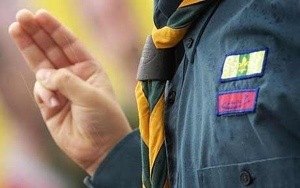 As well as additional classes in lighting fires, shoe polishing and the correct way to toast a marshmallow, the fearless Scouts will also learn to speak Arabic, to recite the Geneva convention and order in air support with badges available for those who manage to complete bob-a-job week whilst in Damascus. Fortunately the Air Cadets training has mainly consisted of flying £19.99 remote control planes from Argos.